By Joshua McMorrow-Hernandez for CoinWeek.com …..
My journey into coin collecting began in late November 1992 in a most ordinary way. 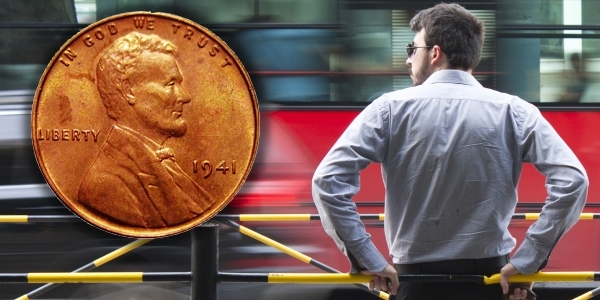 At 11 years old, I fatefully happened upon a 1941 Lincoln cent in my allowance money, and it opened the door to a hobby that has rewarded me in countless ways. As coin collecting is for so many adolescents, numismatics could have been merely a passing interest for me. But it wasn’t. In truth, I’ve abandoned few interests that I began during my childhood. I began writing, the basis of my current occupation as a journalist, at the age of five – and received the long-awaited gift of an electric Smith-Corona typewriter for Christmas, just weeks after I found that 1941 Lincoln penny. How serendipitous. I still own that typewriter, along with that magical 1941 Lincoln wheat “penny” that opened the numismatic door in my life so long ago – even though I no longer use a typewriter on a daily basis, and I’ve built my collection well beyond the scope of World War II-era wheat cents. In many ways, 1992 really is a long time ago. I didn’t know it at the time, but it was a good time to jump into the hobby. Born at the end of the bullion boom-bust spectacle that spanned from 1979-‘81, I wandered into the hobby when it was still reeling from the market crash of 1989-‘90. I realize now just what a lucky guy I was. Many rare coins could be bought for a song when I was making my early rounds at coin shops in the early 1990s. Prices for many high-grade “blue chip” coins had collapsed from their highs in 1989, when there was much industry-wide anticipation that Wall Street movers and shakers would propagate certified rare coins as a mainstream investment vehicle. For many reasons, that didn’t pan out as hoped. If only I had had a few more proverbial pennies from my allowance to work with, I could have made out like a prince at a coin shop in the early ‘90s. When I stepped foot into my local dealer’s for the first time, silver was $3.89 per ounce. Gold was about 100 times that, or $390 per ounce. Three of the coins I dreamed of owning – a 1909-S VDB Lincoln cent, a Draped Bust dollar, and a $20 Saint-Gaudens double eagle – could be bought for less than $400 each in circulated condition (and that is “Good” enough for me). To put the significance of that particular anecdote into perspective, over the past decade I spent more than $3,000 cumulatively buying those same three coins in circulated grades. I certainly didn’t have the $1,200 or so I would have needed to buy that trio of coins back in the early ‘90s. Nor did I have the cash to really stock up on silver and gold when their prices were dirt cheap – even though I’m not necessarily a “stacker” by nature, anyway. Something I did have by the time I turned 12 was some fledging, youthful perspective on a problem that stifled our hobby back then and, I feel, continues to this very day: a lack of proper exposure in the mainstream media. I had perceived this situation when reading the youth-oriented magazines of the period, including one of my then favorites, the now-defunct Disney Adventures. Misspellings, sentence structure problems, and other editorial issues aside, I think even at 12 years old I made a decent point in that letter about something annoying to so many numismatists: coin collecting wasn’t (and largely still isn’t) being marketed in the popular mainstream media as a “cool” thing to do. Oh sure, if I’d opened the pages of the New York Times, the Los Angeles Times or one of the other “adult” publications, I’m sure I would’ve run across stories of numismatic scams and lawsuits, or maybe the occasional piece on a new commemorative release. But, c’mon. Why couldn’t a mainstream youth-oriented magazine offer just a page to coin collecting? My letter wasn’t published in the magazine, and it hadn’t seen the light of day in many years until I stumbled upon it recently. Anyway, maybe it had something to do with the fact that in the early 1990s there wasn’t anything categorically “exciting” happening with circulating United States coinage? The Susan B. Anthony dollar had flamed out a decade earlier in 1981. Circulating silver coins, then more than 20 years removed from the business-strike lineup after the last such 40% silver Kennedy half dollars were struck in 1970, were nearly impossible to find in pocket change by the early ’90s. The “neatest” things I ever found in my pocket change during the early part of the decade were the occasional wheat penny and a bevy of distinctive 1776-1976 Bicentennial quarters, which I encountered at least once every few days during my early years in the hobby. Only banks carried half dollars, and that is also where I found large-sized Eisenhower dollars on a scarce basis. For their part, the U.S. Mint made coin collecting affordable back then. I sent away for my first U.S. Mint product, a 1993 uncirculated set, for $8. Had I more spending cash, I could’ve also bought most of the items from the U.S. Mint’s relatively thin catalog (not counting gold coins) for only a few hundred dollars. In hindsight, had I waited another few years to enter the hobby, I may not have felt a “need” to pen the letter I intended for print in Disney Adventures. Publications of every size and scope were all over the hobby when the 50 States Quarters program began in 1999. I even fondly remember Kermit the Frog, of Muppets fame, serving as the official “spokesfrog” on a famous United States Mint TV advertisement for the 50 States Quarter program. I think I can speak for many when saying that was a fun time to be in the hobby during those early days of the 50 States Quarter era. Dare I say it? It felt “cool” to be a coin collector. The fervor over the 50 States Quarters came to a head during an important time for me personally as a collector. I was turning 18 years old – an age when many young collectors tend to leave the hobby in favor of other interests: namely cars, school, and love. That’s not to say the 50 States Quarters program singularly kept me engaged with the hobby, or that I necessarily needed “saving” from leaving it. Aside from buying an annual proof set for the duration of the decade-long quarter program and passively filling a blue Whitman folder, I spent most of the next decade after the release of the 1999 Delaware Quarter – the first issue of the famous quarter series – building type sets and finally completing a date-and-mintmark set of Lincoln cents. By the time the U.S. Mint released the 2008 Hawaii Quarter to close out the 50 States Quarter series, I had combined my loves of writing and coins and was making money as a paid contributor to a major coin blog. I had officially turned my hobby into a paying career. And I was about to become even luckier when the late, great hobby journalist Ed Reiter and his fellow editor Marcy Gibbel gave me a chance in 2014 to write for COINage magazine, a publication for which I’m now a contributing editor. The following year, Scott Purvis, Charles Morgan and Hubert Walker also took a chance on me when they commissioned me to pen articles about milk spots on American Silver Eagles and the many varieties of 1982 Lincoln cents. I am now proudly a frequent contributor to CoinWeek. It struck me earlier this year that 2017, which marks my 25th anniversary in the hobby, coincides with a much more significant jubilee in the numismatic realm: the 225th anniversary of the United States Mint, which was established in Philadelphia in 1792. I was fortunate to attend the second annual United States Mint Numismatic Forum last month, where a few dozen other players on the hobby stage came together with the top brass at the Mint to discuss the current state of our hobby and the direction it will be taking down the pike. As I meet with and interview many of the hobby’s leading figures–including the likes of Q. David Bowers, Scott Travers, Maurice Rosen, Michael Fuljenz, Anthony Swiatek, and others–I realize just how much I still have yet to learn about our ever-evolving hobby. Yet, looking back at where I started in 1992, wide-eyed and unknowing of the many incredible experiences I would enjoy with coins over the next 25 years, I feel I have come a long way from where I was. So, too, has the hobby. We can always do a better job of reaching out to young collectors, those in their 30s and 40s, women of all ages, and others who don’t identify within the “traditional” demographics of our hobby. But coin collecting thankfully seems much more democratic today than it was in 1992. 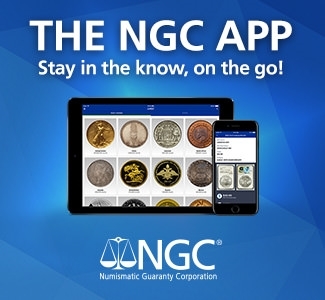 I think we owe a huge debt of gratitude to the internet for more readily connecting collectors with fellow collectors and opening up new channels of numismatic information that simply didn’t exist in 1992. I’ve certainly learned a thing or two because of it. That’s not to forget, of course, my ever-growing library of numismatic books, which, in addition to the knowledge I’ve gleaned from so many wonderful people in the hobby, have helped me become a better collector and a smarter student of money. But I’m still learning… and I always will. I can’t say what the next 25 years will bring along my numismatic path. But if it’s anything like the wonderful journey I’ve enjoyed since 1992, then I’ll have all the more reason to continue calling myself a lucky guy.